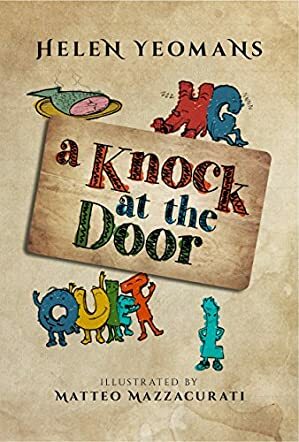 A Knock at the Door by Helen Yeomans is a fun read for children that revolves around spelling and making words. The author teaches readers about letters and how they join together to create words in a fun manner that any child would find appealing. Each chapter speaks about a different story that introduces readers to new letters. The first chapter, Story of the Night, speaks about the arrival of G and H and how they fit into NIT. The Half-Trained L speaks about the silent L and, as the book progresses, the author teaches kids about letters and words in an interesting way that will keep them keep glued to the book. I found the book very original and I like the author's idea of teaching letters and the formation of words through storytelling. It's a unique concept and it will capture the attention of kids in an entertaining way. The illustrations are also perfect and they convey the concept of the author so well and add to the effect of the story. And what I find most appealing is that some of the illustrations give the alphabet letters an individuality and a personality of their own. It's a perfect book for bedtime storytelling and it can also be used for read aloud and interactive sessions in classrooms and school libraries. What a fun way to help children understand letters and words! This book is a must-read for all; children and adults alike. A very refreshing and original story.